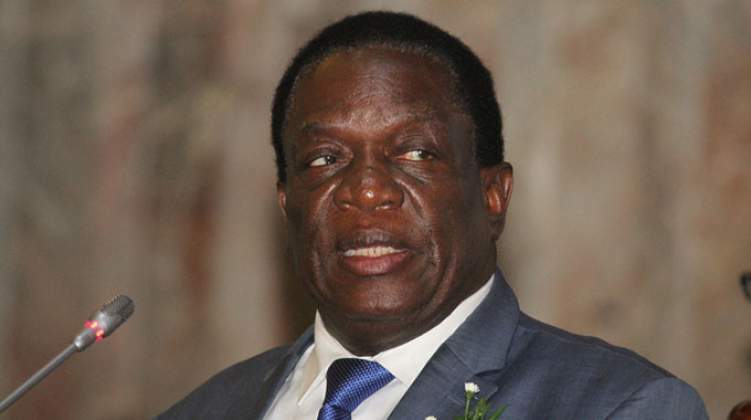 Mining experts have blasted president Emmerson Mnangagwa's Guruve Eureka Gold Mine tour saying the industry is facing same major crisis of foreign currency, which if addressed can speed resuscitation of dormant mines. Delta Gold Zimbabwe which is the parent company of Eureka recently sold 95% of its stake to a Romanian Investor called Vast Resources with speculations that the mine needs at least two years to start productive mining operations due to costly plant refurbishments that are being delayed by lack of forex. ED tour to the mine has been described as a political gimmick feeding from the Zim open for business mantra since the mine recently resumed operations after demonstrations by the mine's employee's women against 30mnths salary arrears. "The mining industry is facing one major challenge which is forex since numerous mining equipments are serviced and repaired outside the country, meaning we need foreign currency to foot these maintenance bills. "As of Eureka Mine there are no productive mining activities to speak of as of now, the mine needs at least 18 months to fully resuscitate operations," said an insider who spoke on conditions of anonymity. Meanwhile, the mine is allegedly reeling from a 6 months Zimra tax debt. The mine has been a struggle of political battles after the then First Lady Grace Mugabe and one notorious Blessing Hungwe under Women in Mining invaded the mine in 2015 resulting in disruptions of activities.